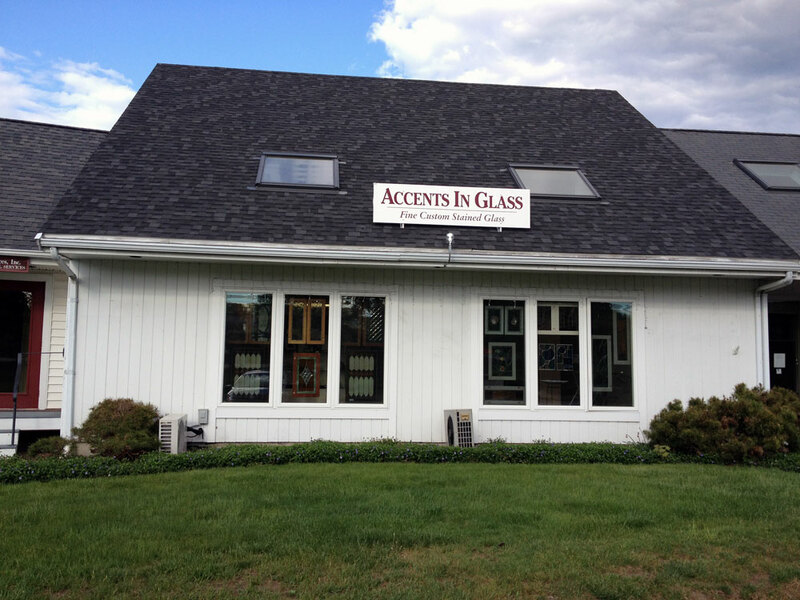 Accents in Glass in Rye, New Hampshire is nestled in a quaint building with a group of home design businesses. 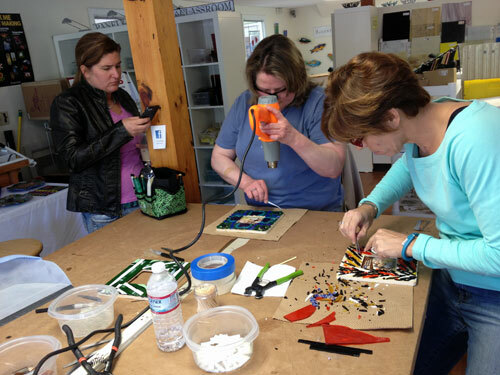 In addition to providing classes in stained glass, fused glass and jewelry, owner Christina Eadie offers design services for windows, doors, entryways, room dividers, cabinet doors and architectural accents made in glass. 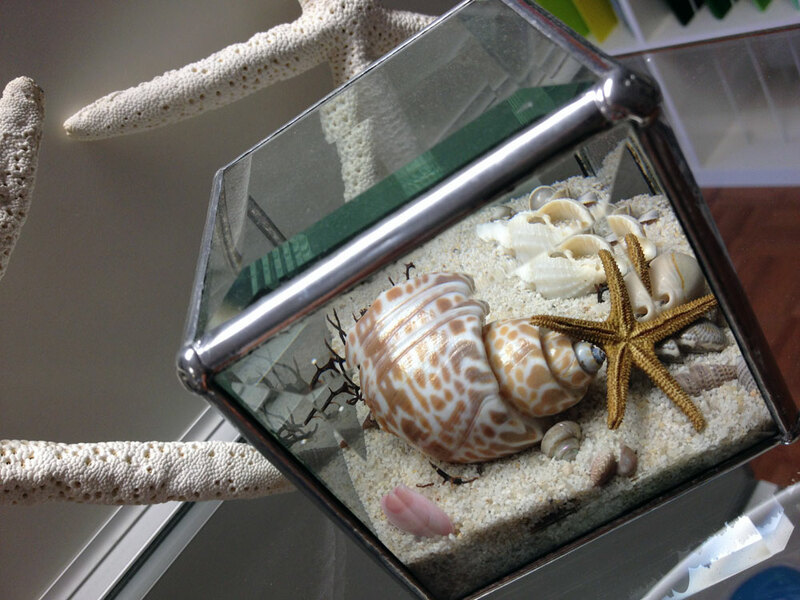 Christina is also well known for her Beach Kaleidoscopes made of beveled glass, seashells, coral, sand, beach glass, sand dollars, and starfish. They make a great keepsake of the shore. She even makes custom boxes for wedding with miniature wedding invitations inside. 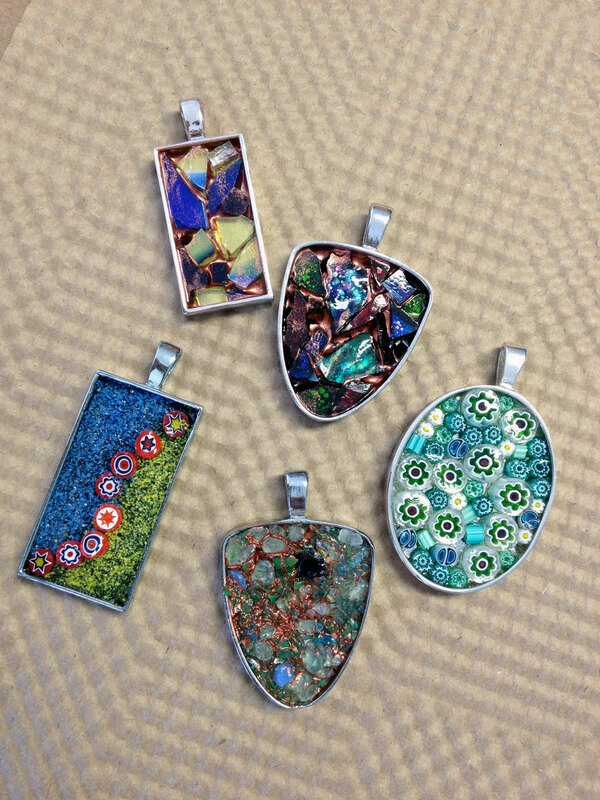 millefiori, mica and itty bitty bits of stained glass. 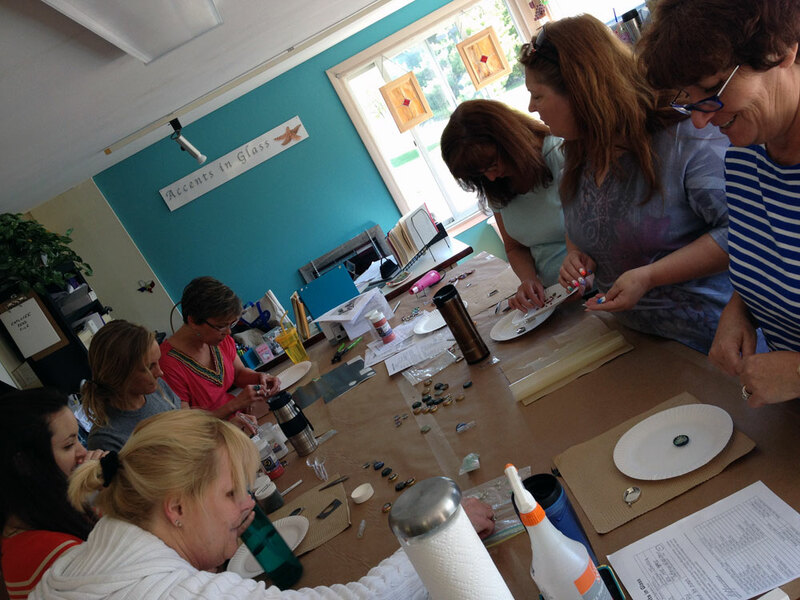 After the Groutless Mosaic Picture Frames, we continued with fusing classes making layered dichroic tiles for jewelry and then fused glass mosaics. 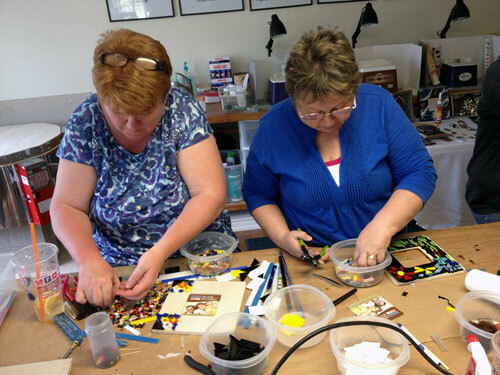 At the end of the day, the kiln was loaded with projects. 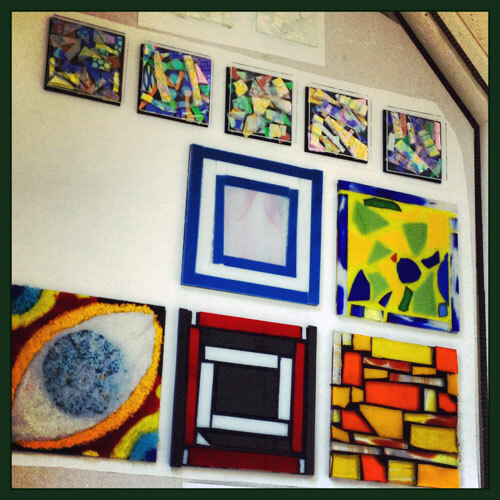 Below you can see the dichroic glass tiles along the top row, four of the No Days ThinFuse mosaics and on the bottom left is my frit sample plate. 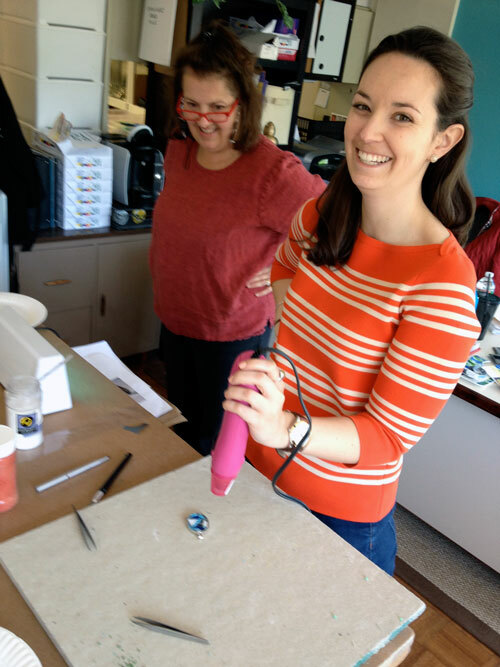 I demonstrated “painting” with frits using No Days Liquid Fusing Adhesive to design more freeform pieces without cutting glass. A day’s worth of classes packed in the kiln! Needless to say, we all had a great time! 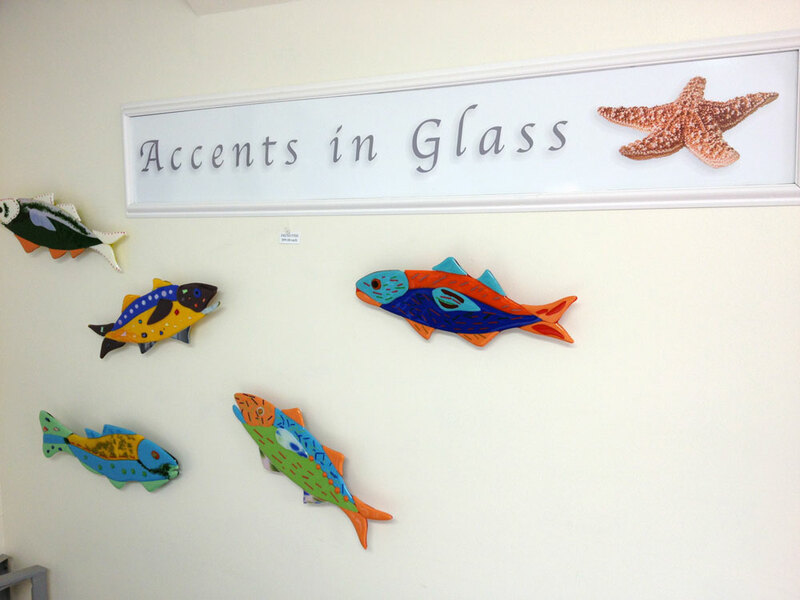 Accents in Glass has a comfortable yet cozy studio space. I enjoyed getting to know all the students and hope to make it back for another round of classes. 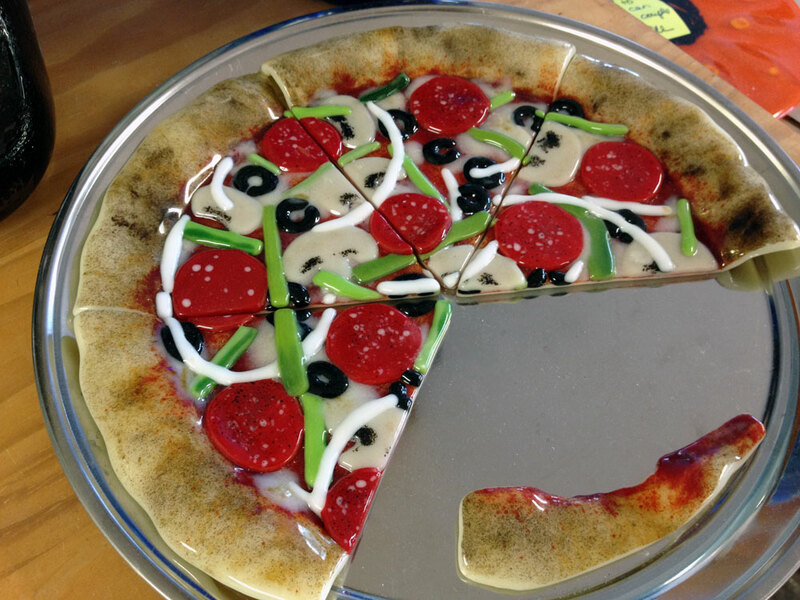 Feeling inspired! Can’t wait to see what Leslie makes now! 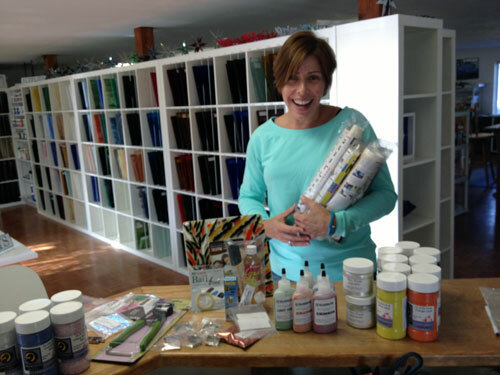 PreviousPrevious post:Merle Art Design ~ Custom Dogwood BathroomNextNext post:Q&A Monday ~ Mosaic Jewelry Help!